Annual General Meetings are usually regarded as stuffy, boring affairs. But I recently went to one, on behalf of Trust STFC, which definitely didn’t fit into that bracket. This was the AGM of Supporters Direct (SD). 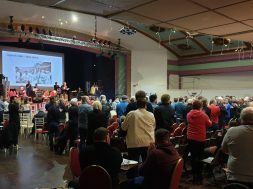 After a lively and impassioned debate, lasting for almost two hours in a London hotel, member trusts of SD voted in favour of a proposal to form a single national supporters’ organisation with the Football Supporters’ Federation (FSF). I hadn’t really known what to expect, but I enjoyed being there, and it offered a great overview of what ‘football politics’ can represent. In many ways, it represented lower league football in a nutshell. Sometimes the arguments lacked logic. Sometimes they lacked consistency. You could argue that it’s not a hugely important issue. But, much like being at a game, the consistent feature was emotion. Last Saturday, for example, there’s nowhere in the world that I’d rather have been, and nothing that I’d rather have been doing, at the moment when the equaliser went in – and I’m sure that a lot of our fans are in the same bracket. Following another lengthy debate after lunch, delegates at the AGM of the FSF voted similarly. This means that an interim Board will be formed, having equal numbers of directors from SD and the FSF, to consider the constitution and structure of the new organisation. Until now, SD and the FSF have always worked together on overlapping issues, whilst retaining their own identities. 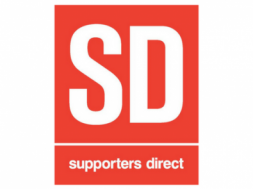 SD was formed to establish supporter interaction with local communities and engagement with clubs, with the ultimate aim of encouraging community ownership of football clubs where possible. The FSF has always been concerned with any and every issue concerning supporters, whether that be ticket pricing, TV scheduling, stewarding, safe standing or anything else that arises. But times are changing. 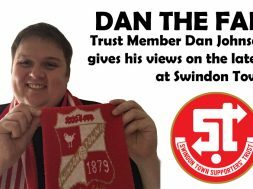 The timetable now is for the interim Board to put together a new structure for ratification in November, to enable the new organisation to be operational for the beginning of 2019.
previous Is the current Swindon squad deep enough to sustain a League 2 promotion push? next In Wellens we trust - The early Signs are good!